It’s can be difficult for businesses of all kinds to stand out from their competitors. Most prospective users/customers in the SaaS and B2B space have already done extensive research by the time they’ve gotten to the middle of your sales funnel. As a result, it’s here that you need to differentiate your brand from your competitors. In other words, lead nurturing is about 18x more effective if it’s relevant to the lead. An easy way to do this is to deliver educational content based on the piece of gated content your lead downloaded. But it’s even more effective if you can talk to your leads based on examples they recognize as being relevant to them – case studies from previous clients in the same industry as them. It’s far more powerful for a real estate agent to see a success story on how another real estate agent found value with your platform than if they read about a marketing agency. Within your lead generation landing page forms, provide a dropdown for Industry in one of the fields (or ask for business name if you want to data mine/research your users, which I actually recommend doing from time to time). 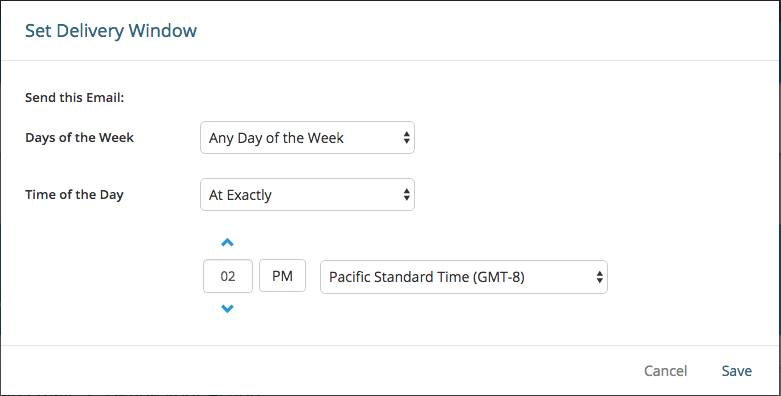 Create industry-related case studies and examples for those industries in your dropdown. It’s not hard for your lead or prospective customer to glean that you’re automating your personal emails if they receive them at 3 in the morning. And not only does that lose you trust, if they’re up and reply and then you don’t respond for 7 hours? That’s not great either. While usually delivery windows are based only on the sender’s timezone, a cool use for this would be an agency who represents a chain of restaurants. If you’re generating leads or subscribers from your New York restaurant and segmenting those leads into a “New York List” then be sure to trigger emails to be sent exclusively Monday-Friday between 7am and 10am EST. It’s shouldn’t surprise you… Your email campaign is the same as any campaign: one focus, one goal. Even if you’re asking for a reply, make that request clear and don’t make any others. If you have one conversion goal (and your email requires a below-the-fold section) use multiple buttons for the same destination. 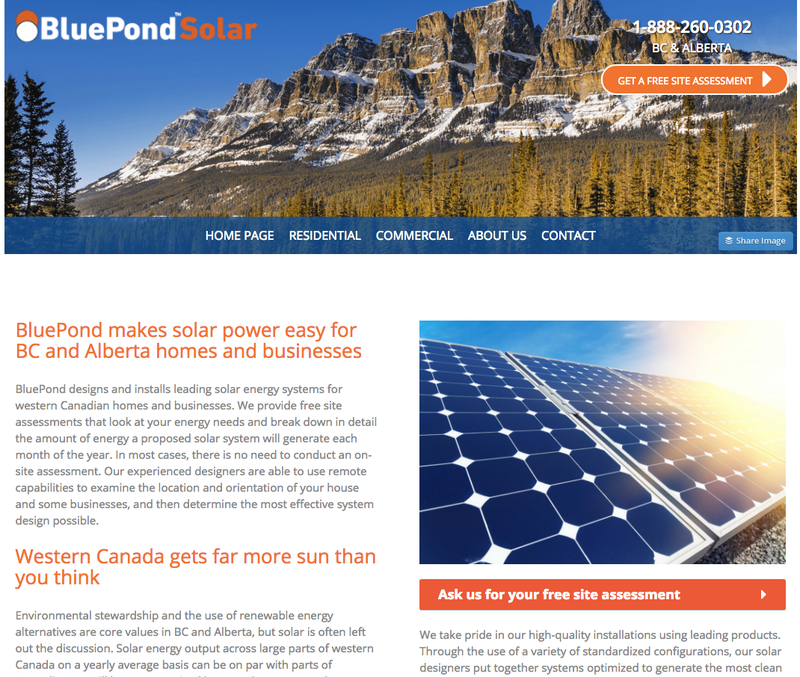 Your email isn’t all that unlike your landing page. They each have a single focus and single CTA. They both need to be optimized to drive the maximum number of conversions/click-throughs as possible. 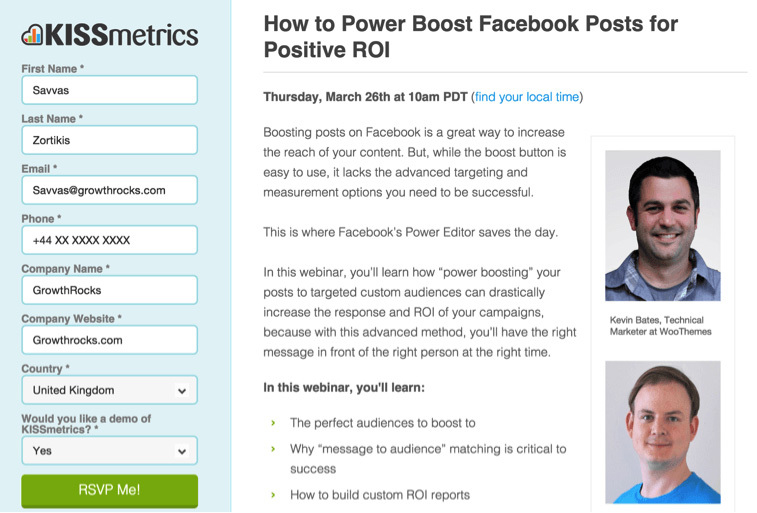 So it’s no surprise that landing page best practices can sometimes apply to emails. In the case of CTA contrast and whitespace, that’s very true. Your CTA needs to stand out and the copy needs to say exactly what subscribers will get when they click on it. Campaign Monitor ran a similar study and found that short is sweet. If your email extends below-the-fold then interest drops. And, if you have a CTA button in your newsletters (which many of us do nowayays) be sure that it’s above the fold. You don’t want to ask your subscribers to read too much before asking them to read an article! Forms are annoying, and they’re doubly-so if you know that the company you’re giving your details to already has them. Luckily, you can avoid this if you use pre-filled forms. Essentially, your website (or the third-party marketing tool you use) will automatically check to see if it recognizes your lead. If it does, it’ll match their details (the lead data associated with their browser) with what you’re asking for in your form. Any fields which don’t have a corresponding piece of lead data will be left blank – allowing you to generate more info without asking your current leads to fill out an extensive and high-friction form. To see how you can add pre-filled forms to your next landing page, check out Wishpond’s how-to guide. 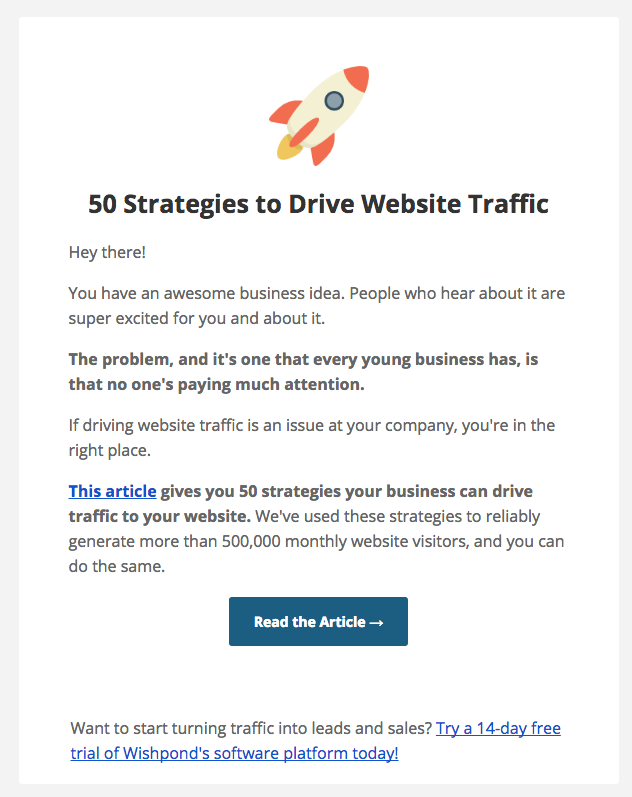 Initially it threw me off, as I was expecting Tomasz at Kissmetrics, but Kissmetrics usually knows what they’re doing, so we decided to test it with our own newsletters. Sending from “James Scherer” rather than “James at Wishpond” improved our email open rates by about 10-15% (18.3% vs 20% and, when repeated, 15.7% vs 17.8%). Your leads prefer to receive content from real people rather than representatives of a brand. Definitely test this one for yourself, but it’s worked reliably for us. If you’re thinking that stagnant leads are lost forever, you’re not alone. It’s notoriously difficult to re-engage people who haven’t opened an email or visited your site in more than 90 days, but the 9-Word Re-Engagement Email is a proven strategy which maximizes the chance of it nonetheless. Are you still looking at getting [insert your service/product]? That’s all you need. There is no need to add a phone number or website or a reason you’re asking. This email works so well because it triggers your stagnant contact’s curiosity. They immediately think “why are they asking me? Has something happened?” And if they’re at all interested, or even if they’ve moved onto a competitor, there’s a high likelihood they’ll respond to let you know. If a lead visits your signup or pricing page but doesn’t convert, follow-up by recommending a lower-value action. High-value actions – such as free trial or booking a demo – ask a lot of your leads. It means they trust you fully and know you can address their painpoints. It’s why we spend so much time on optimizing those pages for conversion but still get such low rates. It’s similar to cliff jumping in the summer. A lot of us walk up to the top and look down, but few actually take the leap. A lower-value prompt is equivalent to decreasing the size of the cliff – way less intimidating. 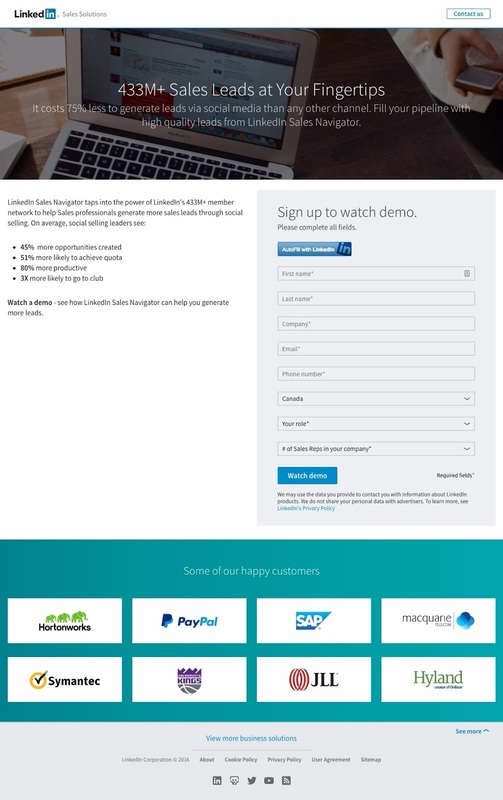 Free trials are the backbone of many SaaS sales funnels, and getting the free trial landing page right is as important as the pricing page. If knowing more about your leads allows you to convert them at a higher rate, then you can accept lower landing page conversion rates. 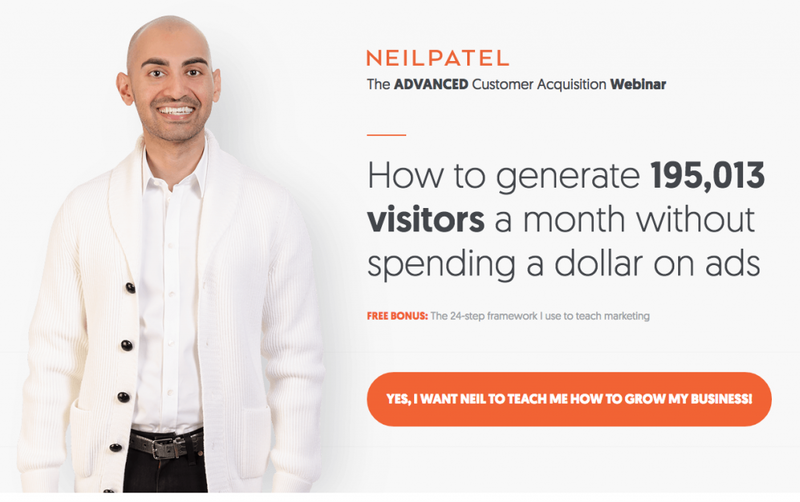 The reason that most marketers only have a couple form fields for their VIP demos or gated content landing pages is that they know the low ratio of leads they’ll actually sell to – so they need as many as they can get. If Salesforce, though, can convert 50% of 100 leads they’re better off than if another businesses converts 10% of 300 leads. 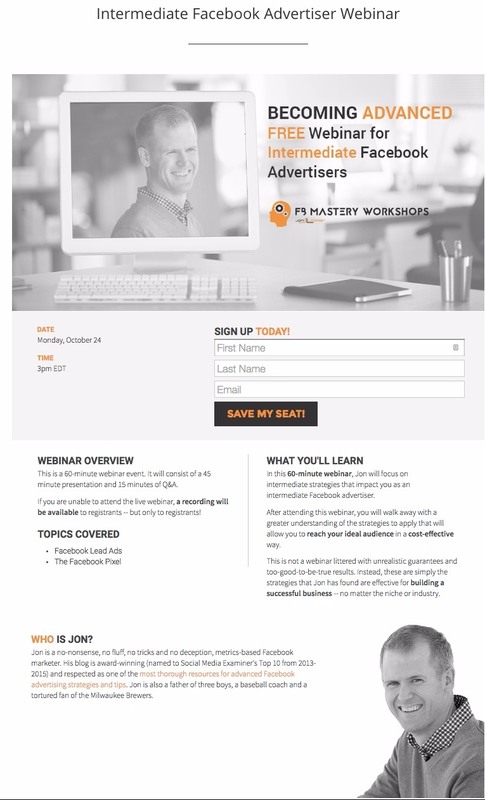 Jon Loomer’s sidebar webinar CTAs send visitors to three distinct landing pages. He runs three webinars (likely automated and recorded previously, which doesn’t necessarily limit their value) and creates three distinct lead segments of beginner, intermediate and advanced Facebook marketers. He pitches the rest of his courses and consulting based on whichever segment his leads are in. A similar thing can be done by any business running a single webinar based on what timezone leads choose. For instance, if your leads choose the PST timezone, be sure to (down the line) send them emails within normal business hours for PST. 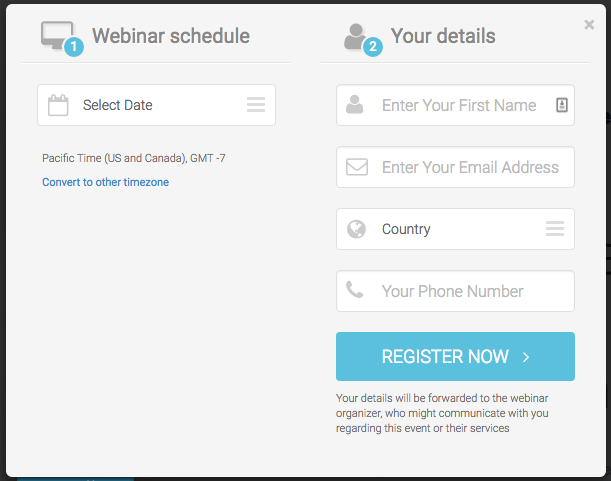 Cooler than that though, is that the CTA button opens up a straightforward, simple webinar click popup. But that click popup also shows up as a timed popup if you’re on the page for more than a minute and as an exit popup if you try to leave. Aggressive? A little. 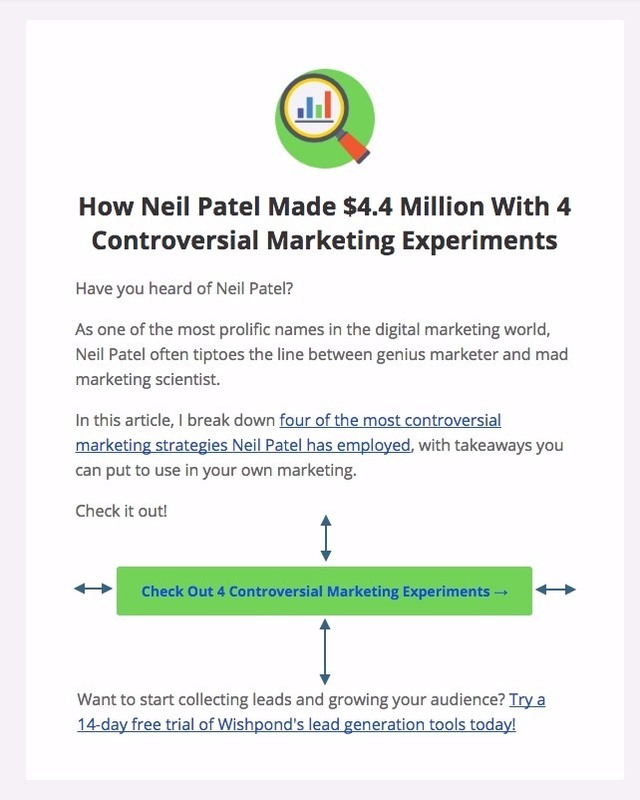 But am I 100% sure Neil’s tested this to hell and back and determined it’s the right decision to generate the most sales leads? Yes. 100%. California Closets shows that even B2C companies can, and should, generate leads. I like that everything that revolves around this sales lead generation strategy can be automated. When someone clicks on the “request more information” button on this car’s landing page, Brian Jessel (or whoever’s handling his lead generation) will hopefully have set up an auto-response email which tells the new lead everything about the car (can be set up with email templates very easily). 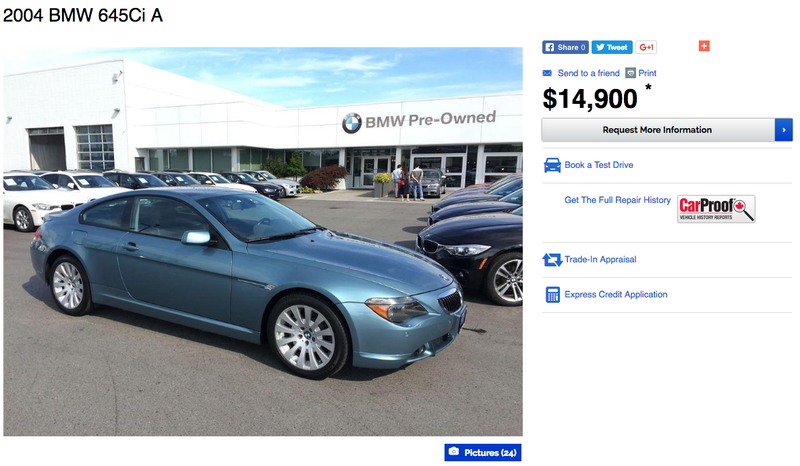 The lead should also have been automatically segmented into a list of people interested in either this car model or cars around this price point. That means that, down the line, Brian can email everyone who hasn’t already bought a car/unsubscribed an email notifying them he’s got another car they may be interested in. Kissmetrics’ free trial gives you access to the entire platform. But at the end you must talk to salesperson to buy subscription. But that’s actually a great thing. Not only does it allow Kissmetrics to attempt an upsell it also can be pitched as “get the most out of Kissmetrics”, and not be lying. Almost every time a sales associate or account manager talks to a user on the phone, they come away with more value than they had before. Talking to a sales associate after every user’s free trial is a great way to increase retention, reduce churn, and drive real relationships. This sales lead generation strategy uses exclusivity very effectively. 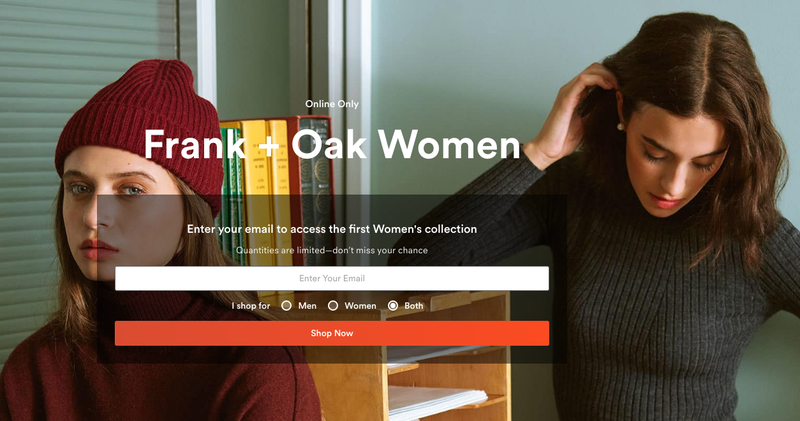 Firstly the Frank & Oak women’s collection is online only, so prospective leads know they can’t get it by going in-store. That makes it more exclusive. Secondly, the subheadline says “Quantities are limited,” which uses the psychology factor of scarcity to increase the subjective value of those quantities. Next that same subheadline says “don’t miss your chance,” which uses the factor of urgency – insinuating that prospective leads will lose their opportunity fi they don’t convert on this limited quantity, online-only offer. All of these increase subjective value of the offer and encourage conversion. For more on how your business can use psychology to improve lead generation conversion rates, check out my Ultimate Guide to Conversion Rate Optimization. This works by each prospective customer answering a few style-based questions. Once the questionnaire (valuable lead information) is collected a stylist chooses and sends 6 items of clothing, sends them to the prospective customer and they pay for only what they like and want to keep. An element I like about this (beyond the great idea) is the multiple CTAs. The top CTA actually just sends you down to the next section. 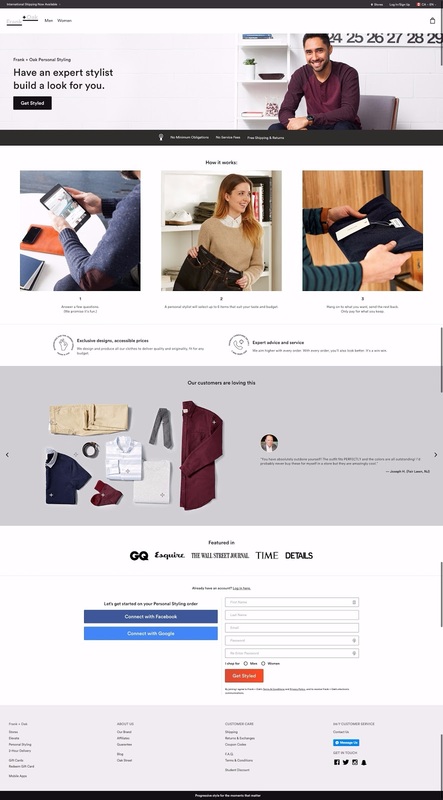 Frank and Oak wants you to read the entire landing page before even considering converting. I also like that they’ve made social signup possible, which is a best practice whenever you can add it. 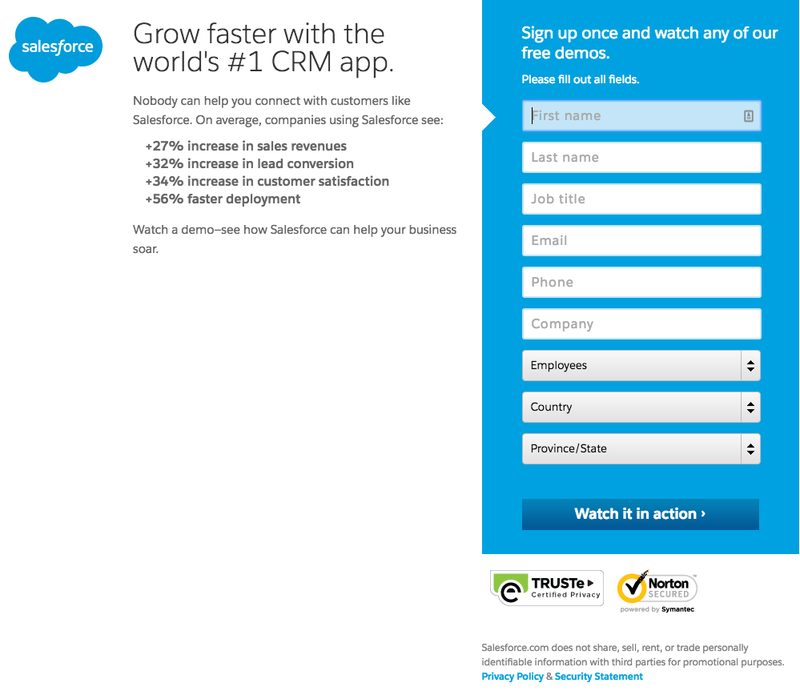 Salesforce includes a “AutoFill with Linkedin” which saves serious time for existing users. The thing is, this isn’t impossible for your business (even though you’re not a massive social media network with pre-existing user data). Marketing automation platforms (like Wishpond) often enable your business to “pre-fill” a lead form with information you already know about your leads. And this is especially relevant for your VIP demo landing pages because it’s likely that visitors are already in your leads database. When they arrive, the landing page recognizes their browser and IP address and can fill the fields in with information you already know – and leave blank anything you need but don’t have. A free assessment (no matter if it’s related to solar energy or fall fashion) is a great way to start a conversation and show your expertise. It’s free, so what do leads have to lose? And, if your assessment is professional and shows your business knows its stuff then that’s a serious driver of trust. Once you’ve received the value of an assessment and there’s a link to “speak to a representative about your assessment” right there, you’re likely to click it. This organization has answered your questions, addressed and assessed your pain points, and has a solution to them. 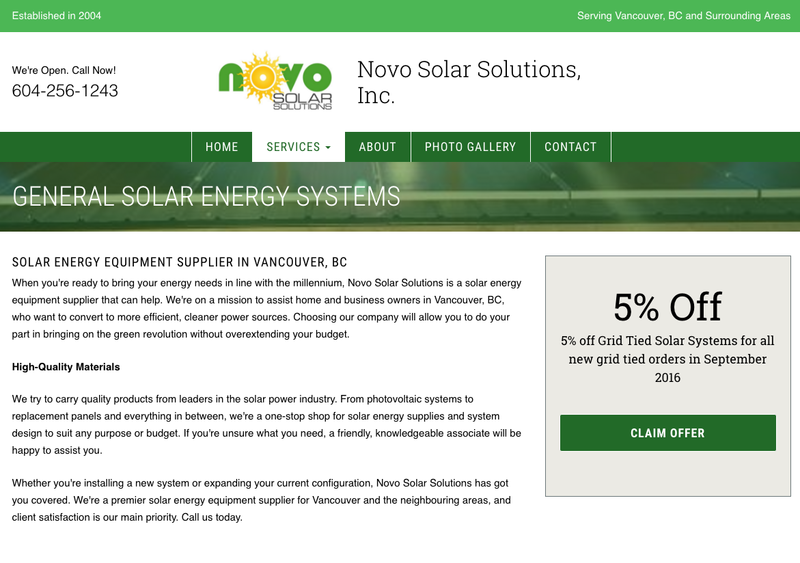 This is a solar solutions business offering a discount on their product, showing that just because you’re not selling T-shirts doesn’t mean you can’t use traditionally B2C lead generation strategies. Your business and your competitors are probably pretty similar. You can spend resources and time to differentiate, and that’s never a waste of time. But you need every advantage you can get, and 5% off is one of those variables which might just make the difference when it’s time to buy.